Maniettia inflata comes from the rainforest of tropical North and South America. This woody stemmed climbing vine blooms repeatedly throughout the summer and fall with bright red and yellow tubular flowers that resemble candy corn. The flowers not only add a bright burst of color to the garden but they also attract wildlife such as hummingbirds and butterflies. 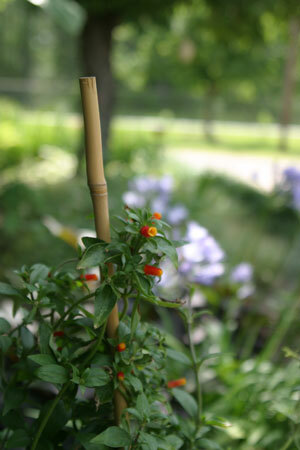 Candy Corn Vine is a great plant in mixed containers or on a trellis, also great for decorating during Halloween!